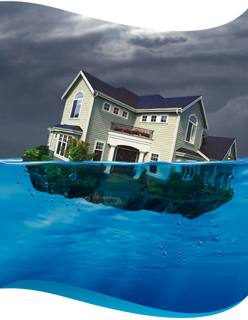 for Under Water Home Owners! Florida Short Sale Solutions provides Short Sale Negotiation assistance to Homeowners, their Realtors and Buyers of Real Estate. We assist with all types of homes and properties in Florida from condominiums and luxury homes to commercial properties! Our staff has extensive experience negotiating short sales and getting approvals from all major lenders and is ready to assist you with all of your short sale needs. We hope you will join us in our efforts to end the foreclosure nightmare that many Americans have been subjected to. Copyright ©2011-17 Florida Short Sale Solutions. All Rights Reserved. Disclaimer: The information presented on this site is based upon research by our staff members and the personal experiences of outside sources that have been kind enought to contribute to this suite and its contents. It is in no way meant to be interpreted as legal or tax advice. To be sure of sound legal advice with regard to foreclosure, real estate, bankruptcy, or agency laws, please seek the counsel from a competent legal or tax professional and/or your real estate broker. Florida Short Sale Solutions is not a real estate brokerage, or real estate agents, but is considered a third party in all transactions and will not be held liable.